Who sent mails to these people? Little did I know, some will attempt to hack my account. I never thought of this, that someone will really hack my yahoomail. I think I signed up to a bogus site before and I used this email account when signing up with their site. Yahoo! detected a login attempt using my Yahoo!Mail account with valid password from an unrecognized device. It was from Bulgaria with IP address of 87.97.193.136. Anyway, the damage has been done. I'll move on. I just want to share this, so you will also be warned about the hackers. 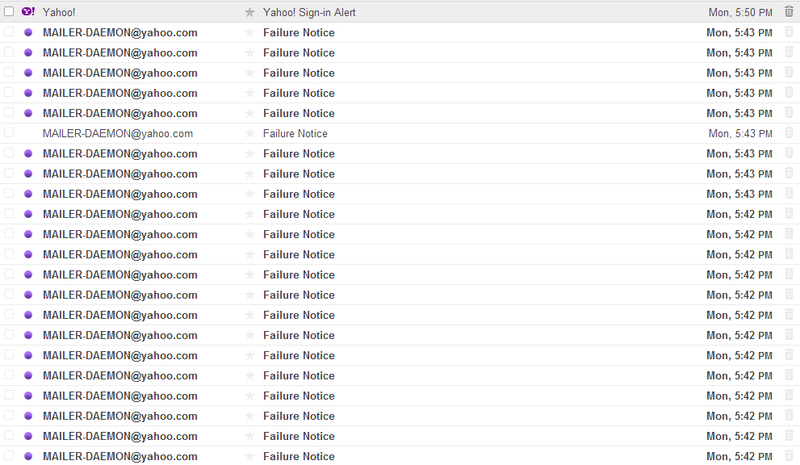 If you received a Yahoo Sign-in Alert from Yahoo!, congratulations! Your account has just been hacked or someone attempted to open your account without your consent. 1. Activate second sign-in verification with your mobile phone - When you sign in with an unrecognized device or computer, you will have to answer a security question or enter a verification code that will be sent to your mobile phone or non-Yahoo! alternate email address on file. This second sign-in verification will further protect your account from unauthorized access. 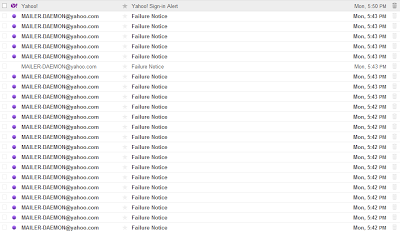 2. Review your login activity - Your most recent activity includes any times that you signed into Yahoo! by entering your Yahoo! ID and password (not limited to Mail). 4. Update your account password reset info - If you forget your password, Yahoo! uses the following information to help you reset it: email addresses, mobile numbers, and secret questions. I highly recommend tip # 3!